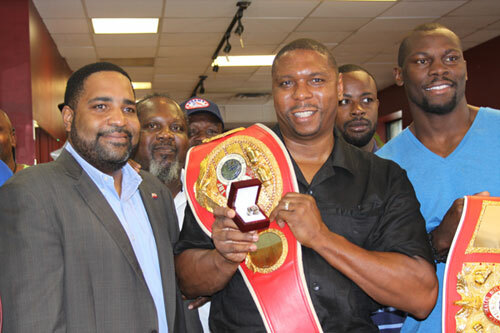 Charles “The Hatchet” Brewer picked up a new piece of hardware to go along with his red and gold IBF belt on Wednesday. IBF president Daryl Peoples made the trip to the City of Brotherly Love to catch up on some old housekeeping that was long overdue. 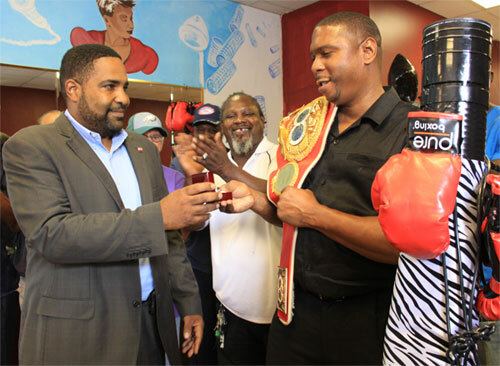 In a special ceremony at a North Philly hair salon owned by Brewer and his wife Sofia, The Hatchet received a brand new IBF championship ring, an award given to International Boxing Federation champions who have made three successful title defenses. Brewer, who won the IBF crown with a with a 5th round TKO of Gary Ballard, did make three defenses – W12 Joey DeGrandis, TKO10 Herol Graham, and TKO3 Antoine Byrd – but those fights were back in 1997 and 1998. Somehow, Brewer’s accomplishment fell through the cracks and he didn’t receive his ring until today – 15 years after that third successful title defense. Brewer was happy and proud to receive the honor. Sure enough, the IBF acknowledged that Brewer had been overlooked, and made it up to him today in Philly. Also present at the event were fellow Philly boxing legends Bobby “Boogaloo” Watts, Steve “USS” Cunningham (a former two-time IBF champion), Buster Drayton (a former IBF champion), Nate Miller (a former WBA champion), and Kevin Howard. Brewer, 44, retired from the ring in 2005 with record of 40-11, 28 KOs. 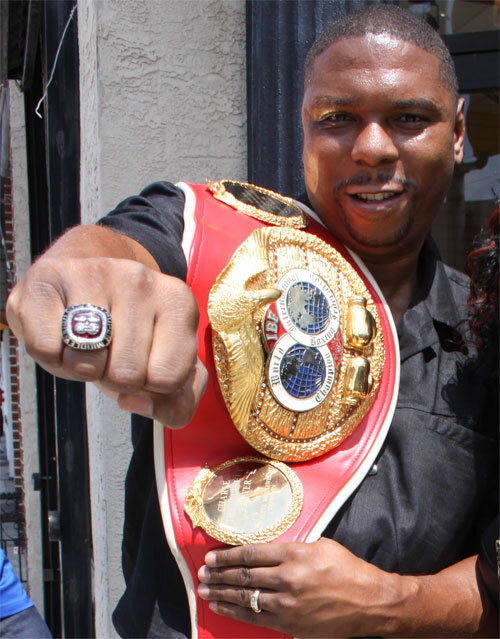 He is one of thirty Philadelphians to ever hold a world boxing championship (#27 of 30).